SAN FRANCISCO (CN) – In its latest effort to reckon with its past, the city of San Francisco will change the name of a public playground that honors a former congressman who pushed to extend the Chinese Exclusion Act. Serving as San Francisco’s congressman from 1899 to 1903 and 1905 to 1924, German-born Julius Kahn wrote legislation to make the Chinese Exclusion Act, originally set to expire in 1902, a permanent law of the land until its repeal in 1943. It was the first U.S. law to bar a specific ethnic group from entering the country. 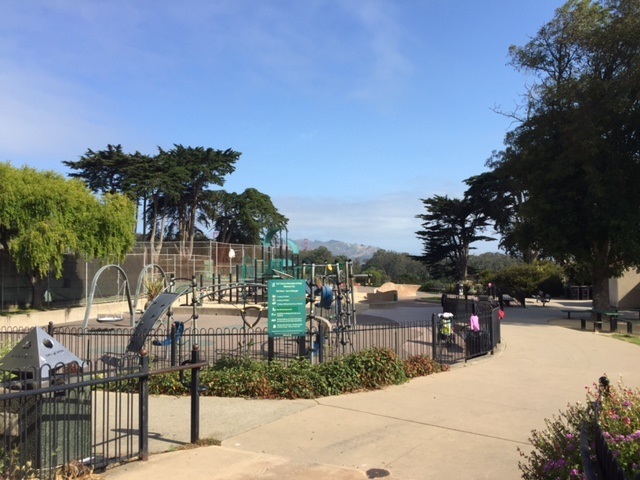 Earlier this week, the San Francisco Board of Supervisors voted unanimously to remove Kahn’s name from the playground on the edge of the majestic Presidio park with a view of the Golden Gate Bridge. “Former Congressman Julius Kahn’s anti-Asian immigration policies during the early 1900s did not espouse the values that San Francisco stands for today,” San Francisco Supervisor Norman Yee said before the vote Tuesday. It is just the latest in a series of steps San Francisco has taken recently to address some of the uglier chapters in its history. The city also moved to rebrand Columbus Day as Indigenous People’s Day, get rid of a monument that some say glorifies the conquest of Native Americans, and rename Justin Herman Plaza, which honored a former city planner who oversaw the demolition of a black neighborhood in the 1960s for a major redevelopment project. San Francisco historian John Martini says re-examining historical figures, like the slave-owning founding fathers, sometimes requires a more nuanced analysis that weighs the good and bad contributions of those individuals. But when it comes to Kahn, Martini thinks it’s not such a close call. 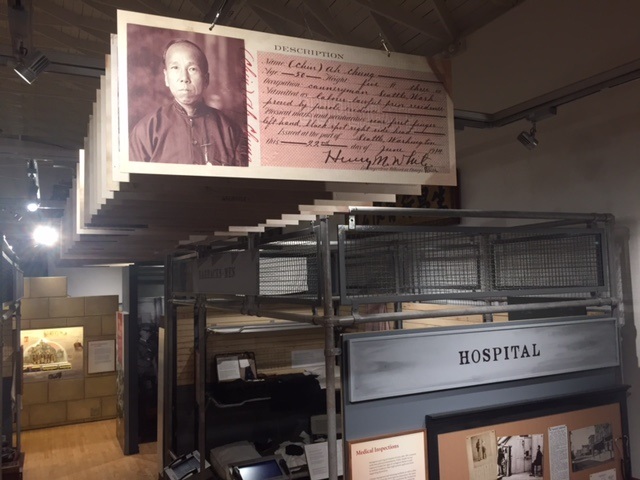 Three miles west of the playground, a permanent exhibit at the Chinese Historical Society in San Francisco’s Chinatown examines the impact of the Chinese Exclusion Act, passed in 1882, on Chinese American families and the nation’s civil rights laws. “For those families who date their American experience prior to 1965, there wasn’t a single family in the Chinese community that was not touched by the Chinese Exclusion Act, both what came before and the subsequent reenactment and broadening of that act,” said Douglas Chan, vice president of the Chinese Historical Society’s board of directors. U.S. laws barring Chinese workers from entering the country came after federal courts struck down a series of state and local laws that sought to make it harder for Chinese-Americans to work and earn money in California. In 1850, California imposed a $20 monthly tax on foreign miners, almost exclusively a tax on the Chinese. The state also passed laws requiring shipmasters to post bond for alien passengers, prohibiting Chinese immigrants from setting foot on land, and imposing a tax on every Chinese adult who was not already taxed or engaged exclusively in producing rice, sugar, tea or coffee. In 1863, the state invalidated all testimony of Chinese witnesses against white people. This allowed white people to attack or kill Chinese people with impunity unless another white person was willing to testify about the crime. After the Civil War, many of these laws became unconstitutional. The 14th Amendment established the right to equal protection under the law. The Burlingame Treaty of 1868 recognized the right of free migration between China and the U.S., and the Civil Rights Act of 1870 held that all people in the U.S. have the same right to give evidence and full and equal benefit of laws. Responding to these post-Civil War developments, Californians devised new and insidious ways to discriminate against the Chinese. In 1874, the state imposed a tax on any noncitizen arriving in a foreign port who was “lunatic, deaf, dumb, blind, crippled, infirm” or “has been a pauper in any other country” or “a convicted criminal, or a lewd or debauched woman.” The law was ultimately struck down by the U.S. Supreme Court, finding it gave the state too much power to restrict immigration – an exclusively federal power – beyond what was necessary for state self-protection. In 1880, California made it a crime for any state official or corporation established under the laws of California to hire a Chinese worker. U.S. District Judge Ogden Hoffman struck the law down as blatant violation of Burlingame Treaty, after a quicksilver mine owner who depended on cheap Chinese labor challenged it in court. Legal victories over state and local anti-Chinese laws fueled a stronger push to enact federal legislation to address the “Chinese problem.” This ultimately led to the passage of the Chinese Exclusion Act barring all Chinese workers from entering the country, with exceptions for merchants, students, teachers and diplomats. The law led to a flood of federal habeas corpus petitions filed by Chinese-Americans who were denied re-entry to the U.S. after trips abroad. Congress responded by passing the Scott Act in 1888, which barred all Chinese from entering the country and voided certificates that had previously allowed them re-entry. At the Chinese Historical Society’s museum, a life-sized photo recreates the tense pressure faced by a young Chinese boy sitting across the table from an adult immigration official, trying to match his story with the one on paper to gain entry into the United States. 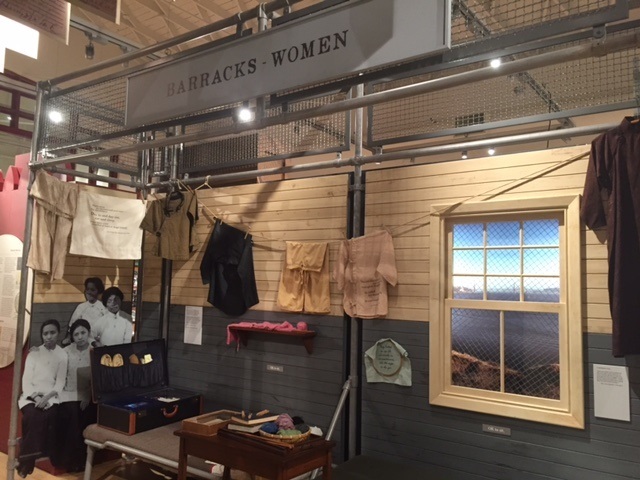 The museum also features recreations of the tight quarters in which Chinese men, women, and children were detained at the immigration station on Angel Island in the San Francisco Bay. Chan, a lawyer who served as legislative aide to former U.S. Senator Alan Cranston in the 1970s, says the fight against anti-Chinese laws in the late 1800s and early 1900s laid much of the legal foundation for civil rights jurisprudence. “The history of exclusion poses a challenge to legal institutions and their ability to adapt to changing times and the ability of the law to respond to human values,” Chan said. The Supreme Court’s 1886 decision in Yick Wo v. Hopkins, about San Francisco’s’ refusal to issue permits for Chinese laundry businesses, was the first to hold that a law which appears race-neutral on its face can violate equal protection when it is applied in a discriminatory manner. In 1898, the Supreme Court also established the concept of birthright citizenship in United States v. Wong Kim Ark, finding a Chinese cook who was born in San Francisco could not be denied re-entry because his birth on U.S. soil automatically made him a citizen. Chan says remembering the impact of the Chinese Exclusion Act is crucial because failing to acknowledge our nation’s past sins means we might be doomed to repeat them. It’s a lesson Chan views as especially prescient today with the Trump administration’s ongoing efforts to ramp up deportations and cut the number of immigrants and refugees entering the country. This history of oppression against Chinese people and its unique connection to San Francisco makes the issue of Kahn’s role in extending the Chinese Exclusion Act a particularly potent and emotional one for the Chinese-American community. It was Kahn’s efforts as congressman that helped extend the Chinese Exclusion Act, which remained in full force until its repeal in 1943. Even after its repeal, a quota system limited the number of Chinese immigrants to 105 per year. That ended in 1965, when President Lyndon B. Johnson signed the Immigration and Nationality Act. 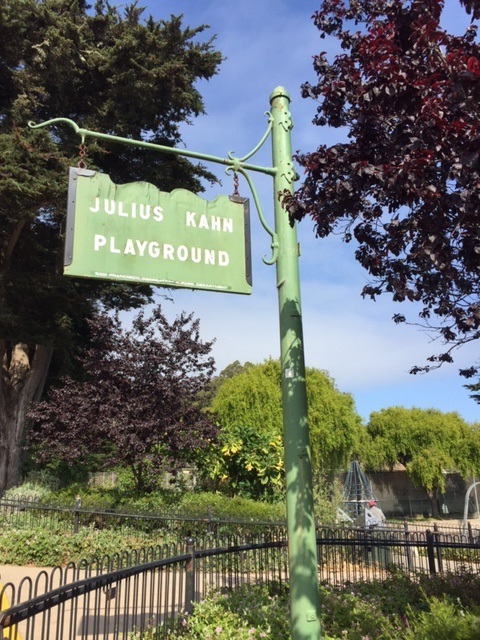 Chan rejects concerns that renaming the playground is a purely symbolic gesture or that removing controversial names and figures from public squares might serve only to sweep the uglier parts of San Francisco’s history under the rug.